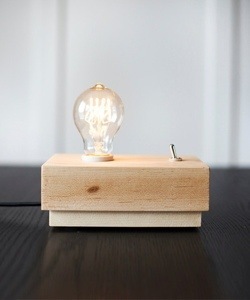 The Maple Edison Lamp strips the lighting process back to basics. 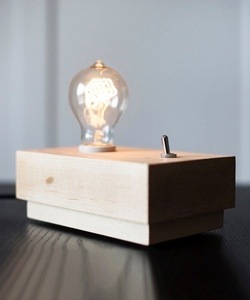 The lamp consists of an original Edison 40W Filament bulb, supported by a clean maple base. I find Edison bulbs very stunning and aesthetically pleasing on their own and the minimalist design of this product allows it to shine – pun absolutely intended. I’m also very fond of the flip switch, which are increasingly rare these days. They bring back memories of near electrocution from the Victorian building where I went to school. Fond times. The design is so simple that it almost looks like an experiment being carried out in a Science class. 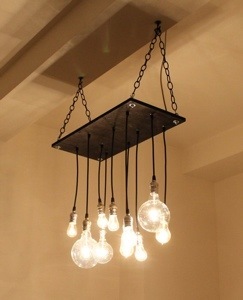 In an industrial setting, it’d be the perfect form of lighting. 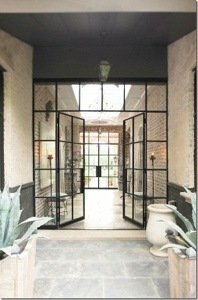 The combination of glass and iron in design is very reminiscent of Victorian architecture. 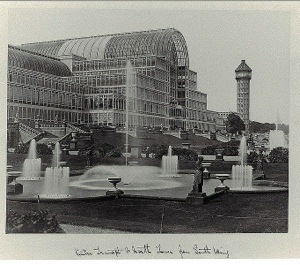 Some of my favourite buildings in this period were built with these materials, including London’s Crystal Palace, pictured above. This stunning piece of architecture was built in London’s Hyde Park to host the Great Exhibition of 1851. At the time of its construction, it included the most amount of glass ever used in a building. Resultantly, there was little need for interior lights as there was an abundance of natural lighting – hence Crystal Palace. Following the exhibition, the building was reconstructed in South London suburb, Sydenham Hill. It stood there until 1936 when it was sadly destroyed by a fire. 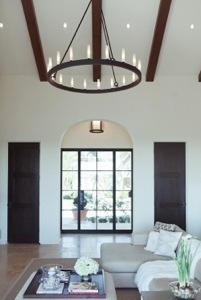 With modern décor, classic chandeliers have a tendency to look out of place. It is difficult to compliment the ornate sophistication which they ooze against a minimal backdrop. 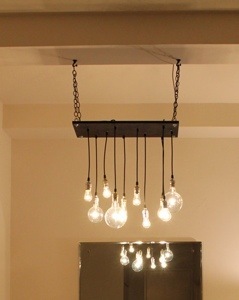 This Urban Hanging Chandelier by Uncovet bridges this gap, warmly welcoming the chandelier into the 21st century. 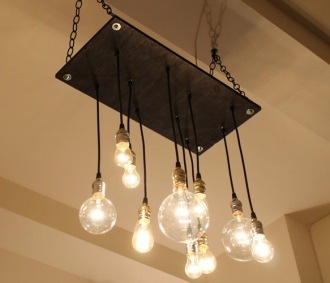 The fixture consists of multiple light bulbs which are hung from reclaimed plywood. The plywood itself is hung from the ceiling with thick metal chains. 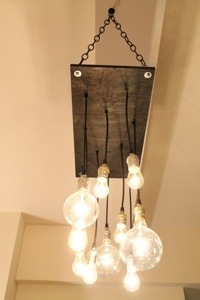 The result is an industrialised light fixture that would look great in an urban inspired room. The product is enhanced further with the light bulbs being an array of shapes and sizes. This makes the item visually more appealing and will also create wonderful effects with light. The ambitious task of tackling a classic has been pulled off perfectly with this modern take on the chandelier. 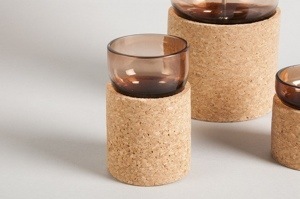 If you’re a dedicated follower of Glassed Blog, you’ll be more than aware of my penchant for minimal, industrial design. Simple and effective, these glasses from Uncrate are a beautiful example of that niche. The concrete section of the product works as an excellent base for a tumbler, providing a stability and weight that avoids spillage. 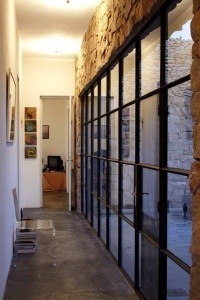 The harshness of the concrete is counteracted by the simple delicacy of the glass top. 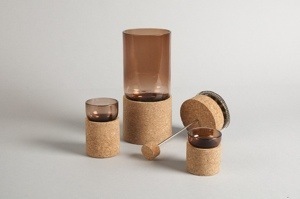 The end product is a drinking glass that mixes masculinity and femininity in perfect proportions. 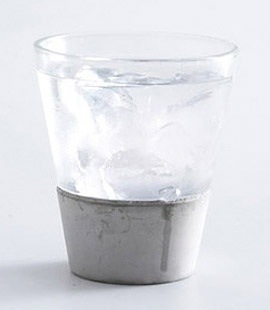 A glass as elegant as this can be used for any kind of beverage. 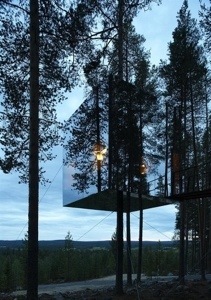 When the yearning comes for getting away from the hectic reality of modern life, few places will satiate the desire better than the Tree Hotel in Sweeden. 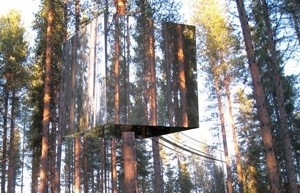 Designed by Tham & Videgård Arkitekter, the 4x4x4 metre ‘Mirrorcube’ consists of a lightweight aluminium frame hung from a tree trunk. The structure is dressed up with reflective glass, which mirrors the natural environment outdoors and camouflages the hotel room. 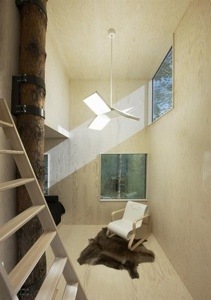 Within the cube, the room is decorated in rustic, understated plywood and caters for two people. We may be touching on Tardis territory when I tell you that within this seemingly petite cube, there is a double bed, a kitchen, a bathroom, a living room and a roof terrace (not technically within!). All of this is accessed via a 12 metre bridge. The main selling point of this novel hotel room surely has to be the 360º panoramic view of the beautiful natural surroundings that the guests have. Elevated and secluded with sights of lakes and mountains, this hotel room is design at its best. Portable lamps aren’t something that you see too many of. The ability to transfer your light source from place to place is not something which is deemed necessary in the world of lamp design. 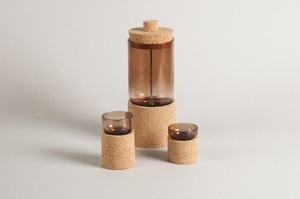 There is a rare gem though, in this portable lamp from Plumo. 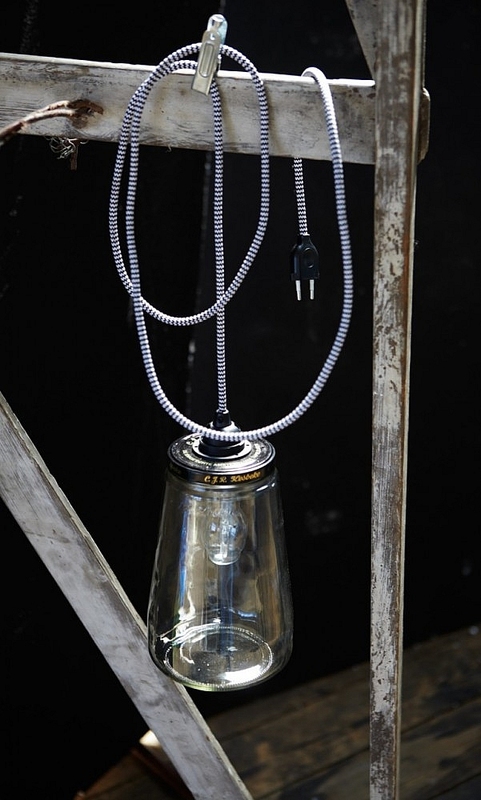 The lamp is designed to be moved around and has a lengthy cord which means you can hang the lamp around anything close by. 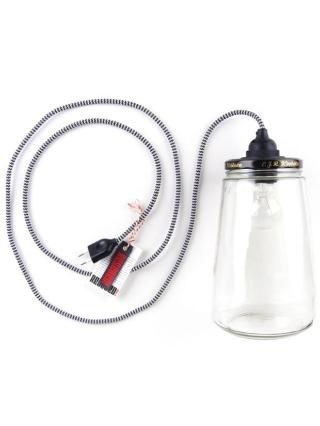 I especially like this product because the actual lamp has been upcycled from pretty, retro jars. It’d be as great an addition to a car garage as it would to a modern, industrial flat. Attractive, handy and good for the environment – this lamp has it all. These glasses from Fab are a great idea if you’re low on cupboard space, or if you just hate washing multiple glasses at the end of a night. 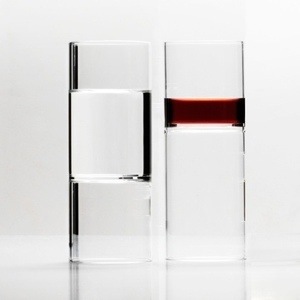 The glass has been designed so that you can fill the smaller end with wine (or the larger end, depending on your alcohol dependency), then when you’ve finished, just flip the glass over and fill the deeper end with water. 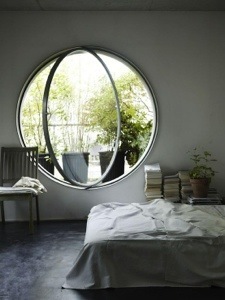 The design is theoretically great, and the design is quite attractive. 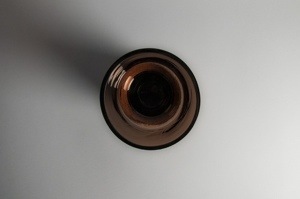 Overcome problems with hygiene (where has the rim of the bottom glass been?) and the likelihood of dripping wine, and you’re on to a winner! 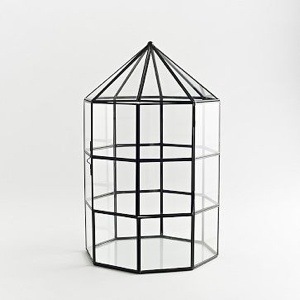 If you lack the garden space to have a greenhouse, or don’t have a garden at all, West Elm may have the answer for you. 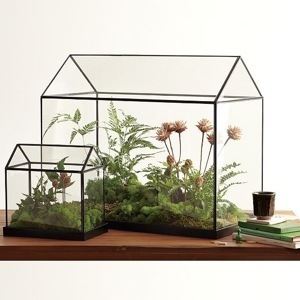 These clever terrarium greenhouses are a miniature version for indoor use. As well as being aesthetically quite cool, they are also excellent for keeping plants within as the increased moisture means that they don’t have to be watered as often. The greenhouses don’t necessarily have to be used for plants either. I think that they look good empty, but ultimately you can put anything inside of them, like a bell jar.